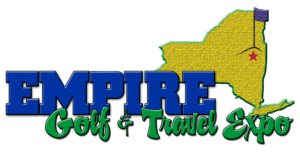 2019 Empire Golf Club Schedule – coming soon! We’re planning another great year of outings and will post a preliminary schedule soon. Our first Stay & Play package is now available! Welcome to the Empire Golf Club. The team here at Empire Golf Club has put together an exciting new Weekly Outing schedule and Tee Time Voucher Deals for the 2018 season. As a member, you can choose to play in as many Weekly Outings as you want to and purchase any amount of Tee Time Vouchers as you wish. There are no obligation or requirements. Membership in the New York State Golf Association is included in your membership and USGA GHIN membership may be purchased by clicking the link below. Check back for updates and additions throughout the season. Please see the 2018 schedule to the left. You will notice a terrific blend of private and resort courses at wonderful rates. We pride ourselves on continuing to offer these outing rates to members and their guests. You may request a foursome, or we will set you up with a game. Members are eligible to bring three guests to play with them at the Weekly Outings or along with them for the Tee Time Voucher Deals. The Weekly Outings are date specific and are social outings. 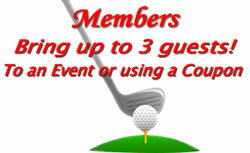 Members may buy and use as many Tee Time Vouchers as they desire. Reservations are required and may be made by contacting the course directly.